This was a pageant written by Betsy Fysh, Acacia Downs, Muttaburra, Qld (whose husband Frith is a nephew of Qantas founder Hudson Fysh) and presented by the Winton Light Horse Troop at the opening of the Qantas Founders’ Museum in Longreach on Easter Sunday 2002. It was based on two of the Qantas founders, Paul McGuinness and Hudson Fysh, who were both Lighthorsemen. I received your last letter alright dated 6th August. And I am glad to know all are well at home. I received two lots of cigars and one cake – they are very nice. Well, I am lying in my little tent now – it is about 8ft x 8ft x 6ft, jade out of a frame of palm boughs with a bag over it. We are camped by a giv palm grove and there are plenty of ripe dates on the palms – if you can climb a tree you can get as many as you want. We are fairly comfortable and the climate now is lovely . . .
Old Silk has been rejected into the remounts. She got very poorly so I had to get another horse and I don’t know if I will ever see her again but it is a good horse I have now and it was no good keeping her if she couldn’t do the work. Well, Mother, I have applied for a transfer into the Australian Flying Corps – I don’t know whether I will be accepted, as I am a bit deaf in one ear. The reason I applied was on account of their is no chance of further promotion here because I am too young. You cannot get a commission in the (A.I.F.) Light Horse or Infantry unless you are over 23 years of age. Now in the Flying Corps you can get a commission at 21 and with a DCM. to my credit, I should have a good chance. Another reason is that aviation is only in its childhood and, say, if a man had a good deal of experience in it here, after the War he might follow it up in Australia – if not in the military, then perhaps as a profession. I know our second-in-command will do all he can for me . . . But I might not hear any more of it. Well, Mother, with best love to you all. . . I will say goodbye. Am writing to the girls. Tasmanian, Hudson Fysh, one year older, also landed at Gallipoli just two weeks after the initial onslaught. He also joined the 1st Squadron, Australian Flying Corps ‘through the stable door’ because if you had a horseman’s hands, the reasoning went, you’d bound to make a good pilot. And so many of them did. Arthur Baird was their Flight Sergeant, earning a reputation as a brilliant and ingenious flight mechanic, and was awarded the Meritorious Service Medal. 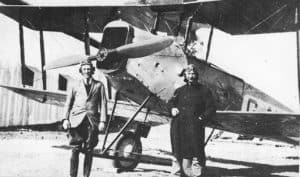 After the war, these two young ex-Flying Corps Lieutenants were bouncing across Australia in a Model T Ford, preparing ground bases for the 1919 England to Australia air race. 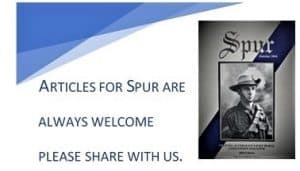 The two young airmen’s dream of an air service was advanced when they successfully helped in extricating pastoralist Fergus McMaster from the sandy bottom of the Cloncurry River. McMaster had served with the 3rd Artillery Brigade, Australian Field Artillery on the Western Front and he supported their venture by contributing cash and raising capital. McGuinness’s letter to his mother proved hugely prophetic when, on 16th November 1920, two airmen and a soldier were instrumental in founding Q.A.N.T.A.S. 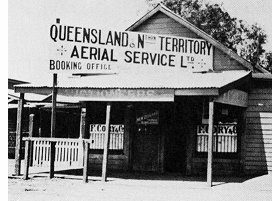 Ltd (Queensland And Northern Territory Air Service). From humble beginnings in Winton and then Longreach, this fledgling airline operated by McGuinness and Fysh, assisted by the ever-resourceful Baird, and led by the far-sighted McMaster, was destined to become one of the great airlines of the world. The first passenger to travel by Qantas was the 85 year old Alexander Kennedy, who had first crossed the country by bullock wagon 53 years earlier. He held Qantas ticket number 1, dated 22nd November, 1922, the pilot being Hudson Fysh and the Engineer W. A. Baird. The journey was from Longreach to Cloncurry.